We are your residential roof replacement and repair experts in and around Aylett and Richmond, VA. When your roof needs to be replaced or repaired, we’re the company you can trust. Colonial Roofing of Virginia is greater Richmond’s premier locally owned and operated roofing company. Since our founding in 2009 and with more than 30 years of roofing experience, we have provided Richmond and surrounding areas with the highest level of residential roof services available. Not only are we dedicated roofing professionals, we are dedicated members of the Richmond community whose reputation has been built on providing our neighbors with honesty, integrity, and peace of mind when it comes to their home roofing needs. Colonial Roofing of Virginia offers roof replacement on your home, business, apartment, or condo. Call us if you live in Richmond VA or surrounding areas. We are a Class A Licensed and Insured Virginia roofing contractor. Not all roofing contractors are, even if they say so. Ask for our credentials. We can repair leaking or damaged roofs. Tree limbs can fall on your roof and shingles can blister. Call us for your residential roof repair needs. We strive for happy customers. Our craftsmanship is unparalleled. Check out a few of our testimonials. Our residential roof services and residential roof replacement systems come with lifetime warranties, so you have the peace of mind that the roof we install will be the last roof you’ll ever need. And since we’re a local company, we will be there for all of your home repair and maintenance needs should they arise in the future. For home roof replacement by Virginia’s leading roofing expert, call Colonial Roofing of Virginia first. We are proud of the fact that our average residential replacement is completed in 1 to 2 days! Our team of roofing professionals can meet most any roofing need, including repairs on nearly all steep and low sloped roofs. 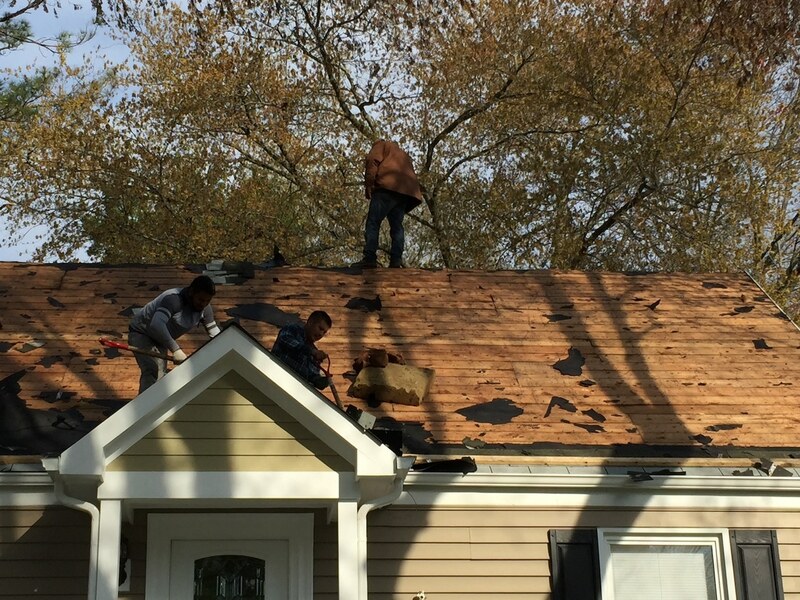 If you’re a greater Richmond homeowner or a resident of Virginia’s Northern Neck and Middle Peninsula areas and suspect even the slightest roof damage, call or email us immediately for a free consultation and assessment of solutions available to you. 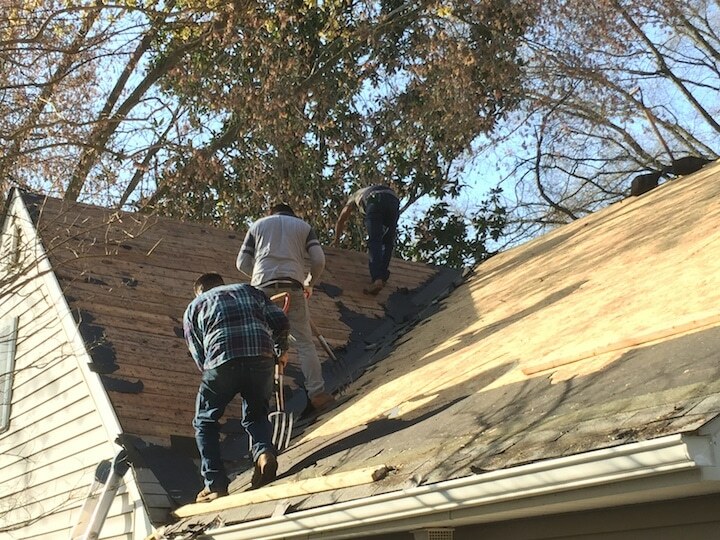 At Colonial Roofing of Virginia, we encourage our neighbors to conduct (semi) annual roof inspections to prevent major damage from occurring to their property. Regardless of roof type on your home, Virginia’s often harsh climate will eventually cause damage, sometimes undetectable by an untrained professional. While roof leaks can be caused by countless natural events, routine inspections can identify and correct the problems before they develop into wallet-draining catastrophes. 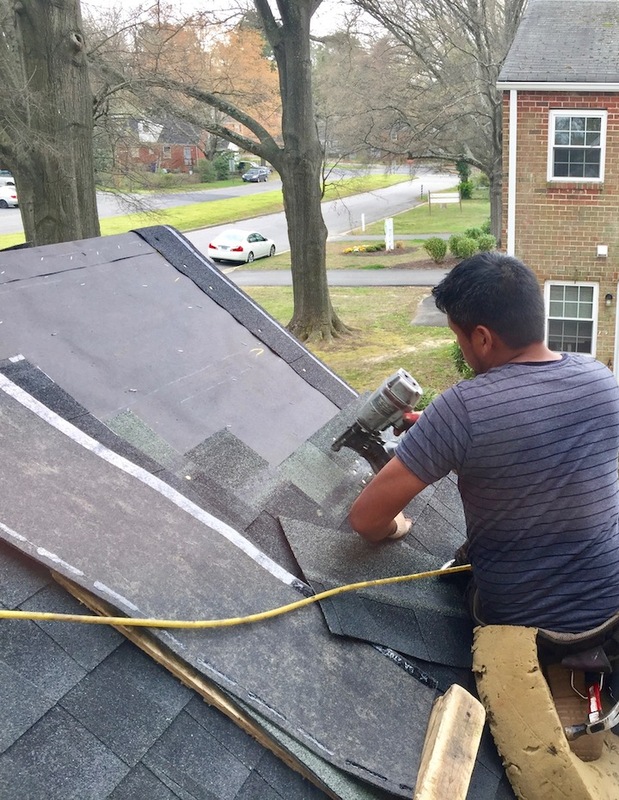 Colonial Roofing of Virginia is the Richmond’s most experienced and proficient home roofing contractor, capable of detecting flashing damage, ice dams, shingle blistering and splitting, and leaks that our highly trained professionals can spot quickly. We are also Richmond’s leading provider of residential roof services contracts, offering repair and maintenance contracts to individual homeowners, apartment complexes, and condos. Colonial Roofing of Virginia is a BBB accredited Class A Virginia roofing contractor, fully capable and experienced in maintaining roofing systems of any size and virtually any type.